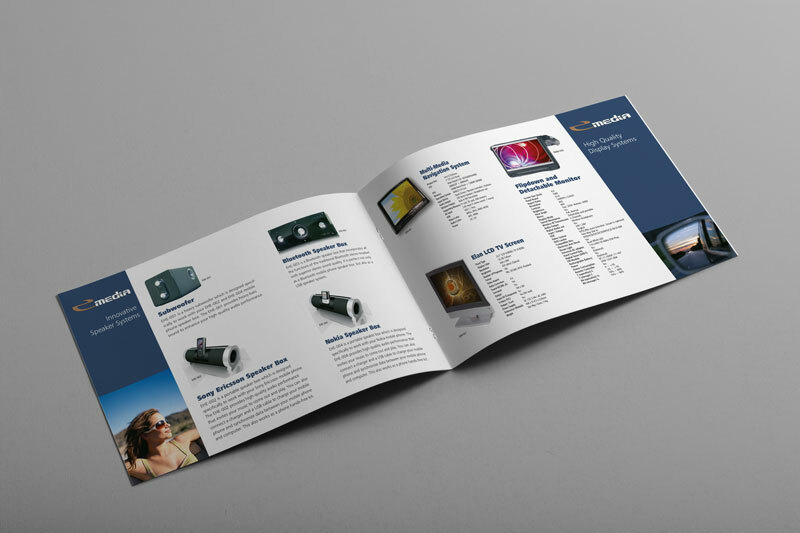 Sometimes a product or project requires a landscape brochure design which is what I created here. 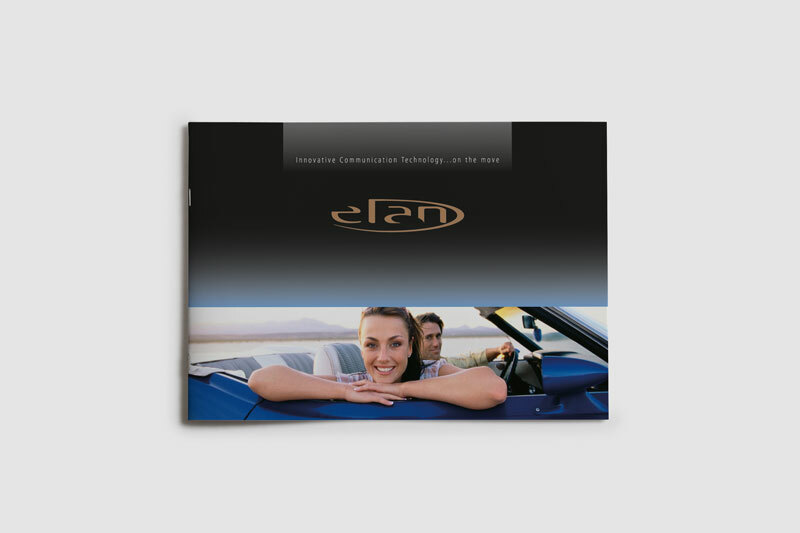 Elan are a car communications company in Pershore who hired me to put together a brochure that highlighted their technology products. The eMedia branch also sold gadgets by other makers such as Sony that you see here. The brochure was distributed to suppliers and customers and was prominent at exhibitions around the UK.